Friends, since we shared such amazing news yesterday we thought we’d share a little music with y’all. It is a joy to be singing with my wife, Bianca Ritter, and I’m so excited for this new album. 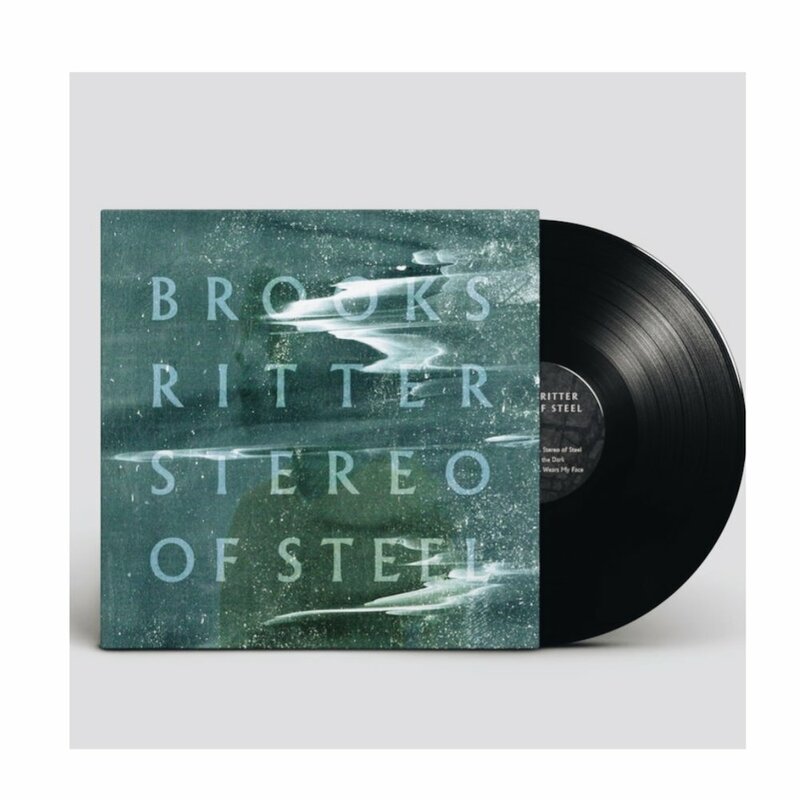 If you haven’t yet, make sure to Subscribe to my YouTube channel @BrooksRitter, so you can keep up with new music!! Friends, it’s has been a minute, but don’t think it’s because we haven’t been working on something. I have some BIG news to share with y’all, that I’m super excited about. This past winter, I had the opportunity to SIGN a record deal with Sona Blast. It’s been months in the making, but we are here and I’m so happy to be part of a label that has always helped local artist and has inspired many. With that came a lot of good things that I can’t wait to share more over the course of this year. So here it is. WE ARE FINALLY RECORDING OUR NEW RECORD!!!! I couldn’t be more excited to have some amazing dudes in my band, Seth Jenkins, Steven Pierce, and Niko Albanese. These guys are amazing and have been killing it. I have dreamed to record in Nashville for years, plus, I get to do this with my long time friend, Vince Emmett, so thankful for you. Also, something that we’ve been keeping pretty secret, is that my wife, Bianca Ritter, will be singing on this upcoming record. She is an incredible singer and musician and I cannot wait for y’all to hear the songs we’ve been writing and collaborating on. Over the last few years, not only have I grown as an artist, but as a person. I’ve been able to put those experiences, joys, sadness, and love into songs, and I cannot wait to share my heart with y’all. We will be announcing more details this summer, however be expecting a new record by the fall/winter of this year. As always, thank you for your continuous support and for sticking with me. I’m forever grateful!!! 2019 is gonna be amazing! Thank you all for keeping up with my website for following my music. I made a playlist on Spotify of my entire catalogue. 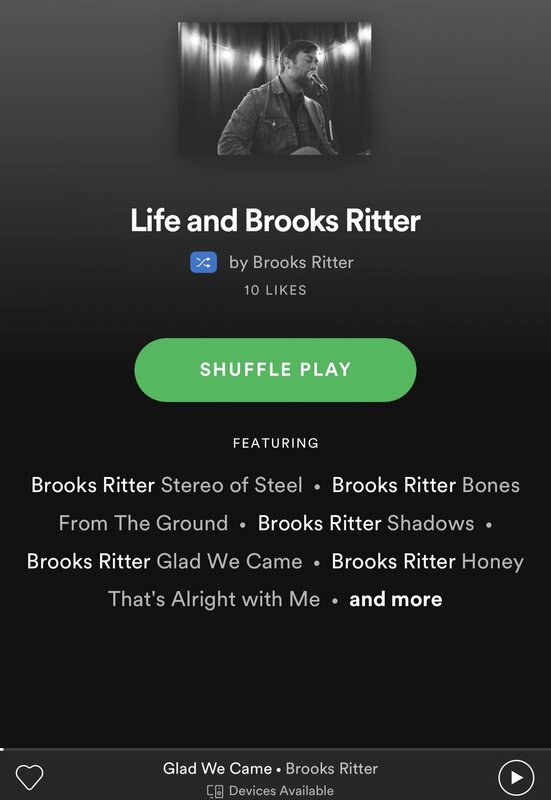 Please take a second and click this link and Follow me on Spotify. Feel free to share share and share some more. Thanks so much for your support. Looking for a special gift for someone? My latest album is also available on V I N Y L ➡️ If you order online we will ship within 4-7 days. Start your order today! Amazing night in Lexington, KY with Heather Bond and Olivia Millerschin. Let’s do it again soon! (Also...check out their music!!) Thank you to The Burl for having us, and always being such a fun crowd.